This was my 3rd project I worked on at Leupold; the UltimateSlam rifle scopes in both 2-7x33mm and 3-9x40mm; matte and silver (MSRP $250). This product contained the trademark SA.B.R reticle (SAbot Ballistics Reticle) which provides precise and distinct hold points for 50, 100, 150, 200, 250, and 300 yards, accurately with sabots containing 2-pellet or 3-pellet loads and 12 guage or 20 gauge shotgun loads. 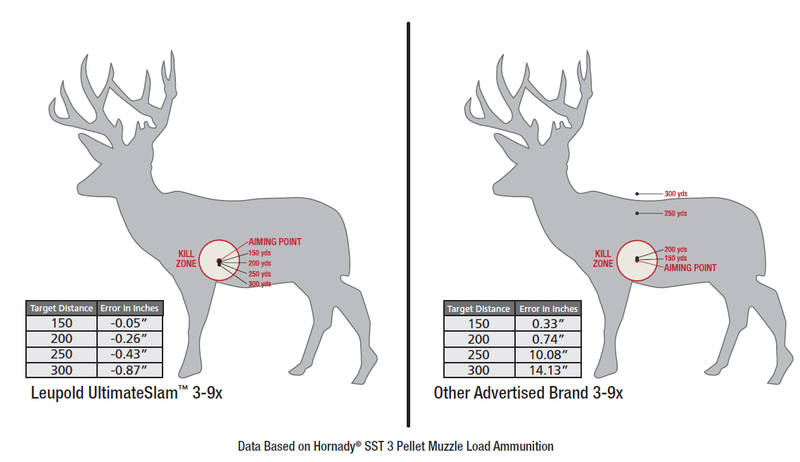 The center ring and each aiming point subtends 3″ at the intended range. 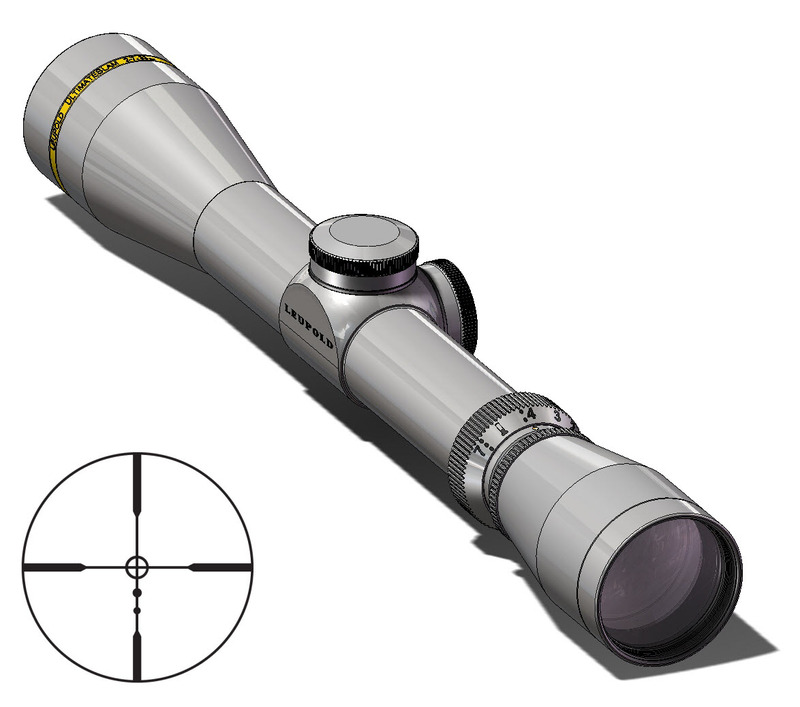 This is my SolidWorks model of the silver 2-7x33mm with the SA.B.R. reticle depicted.